There’s a thin line between love and hate . . . and it cuts right through the middle of their office. Bad boys? They run right over good girls like Georgina Keller. 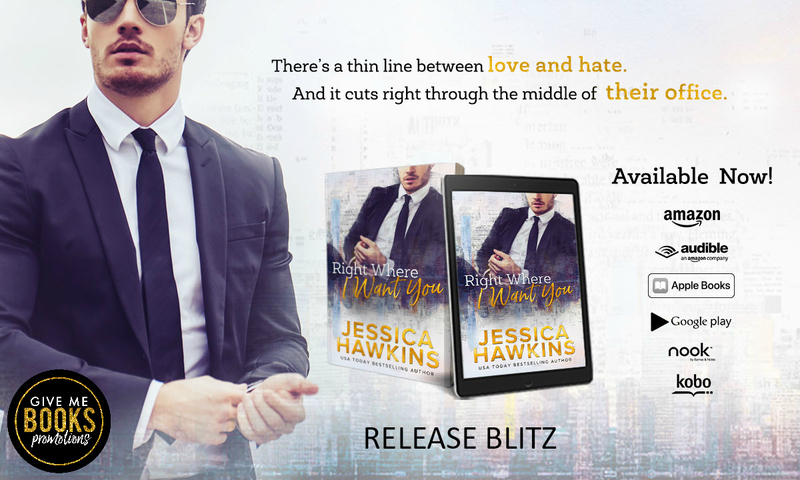 But after a confidence-shattering breakup, she’s determined not to let anyone at her new workplace push her around—least of all the brooding creative director, a “bad boy of publishing” who’s made it clear she’s enemy #1. Sebastian Quinn’s taste for fast cars, late nights, and beautiful women may have gotten him to the top of a leading New York magazine, but the reputation that made him is suddenly threatening to end his career. Georgina can help Modern Man shed its bad reputation, but in order to do that, she’ll have to start at the top—and no amount of rakish charm or inconvenient attraction will distract her. Because if Sebastian gets her right where he wants her, it means she’s going down. Each time I said François with flourish, she flinched. I didn’t care. Something about him bugged me—I just couldn’t put my finger on it. “We didn’t kiss because you interrupted us,” she pointed out. 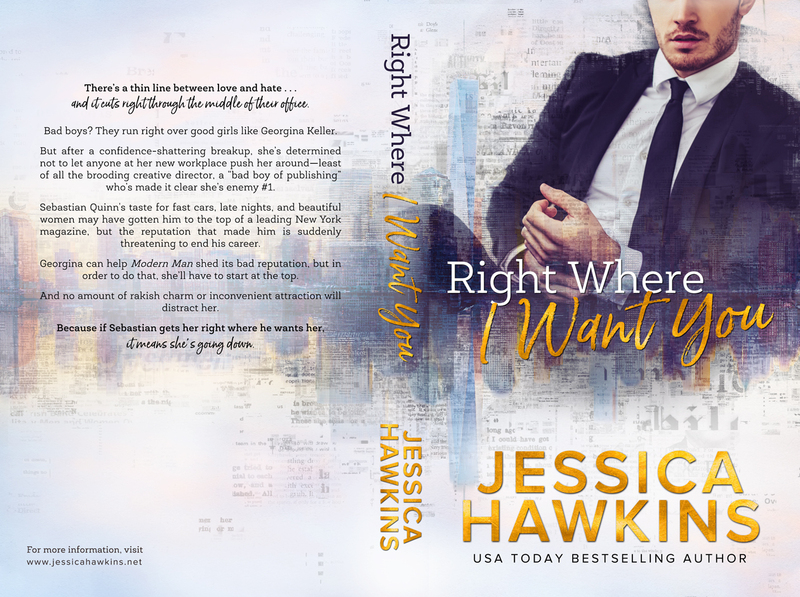 Jessica Hawkins is a USA Today bestselling author known for her “emotionally gripping” and “off-the-charts hot” romance. Dubbed “queen of angst” by both peers and readers for her smart and provocative work, she’s garnered a cult-like following of fans who love to be torn apart…and put back together. She writes romance both at home in New York and around the world, a coffee shop traveler who bounces from café to café with just a laptop, headphones, and coffee cup. She loves to keep in close touch with her readers, mostly via Facebook, Instagram, and her mailing list.